You are at:Home»Wildlife»Promote or harm? How does the lion bone trade impact South Africa’s conservation image? This week these questions were tabled at a two-day colloquium in South Africa’s parliament. South Africa has an estimated 7,000 to 8,000 lions in captivity in some 300 privately owned breeding facilities. These lions are mostly destined for canned hunting and the Asian predator bone market. The market for canned hunting appears to be decreasing, but not so the bone trade. 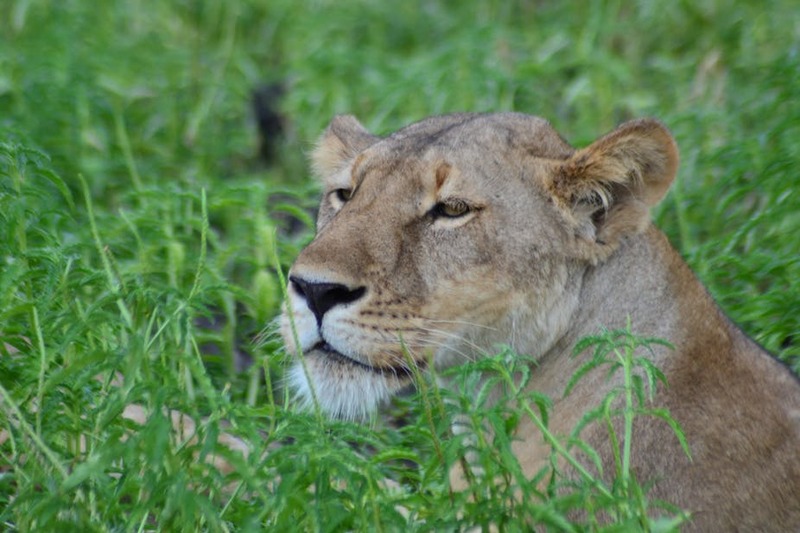 Ross Harvey, a senior researcher in Natural Resource Governance, takes a close look this new and largely unregulated growing niche market for wildlife products and its consequences for lion conservation. [South Africa] has an estimated 7,000 to 8,000 lions in captivity across roughly 300 facilities. These lions are predominantly bred for canned hunting and the Asian predator bone market. The bones are dropped into rice wine vats and sold as tiger bone wine which is promoted in Asian markets as a treatment for rheumatism and impotence. A year later the Department of Environmental Affairs set an annual lion skeleton export quota at 800. It raised this to 1500 in July 2018. It did so without public consultation or the support of research. Even an interim report prepared for the department by the South African National Biodiversity Institute did not specify grounds on which to establish, or expand, a quota. A year later the Department of Environmental Affairs set an annual lion skeleton export quota at 800. It raised this to 1500 in July 2018. It did so without public consultation or the support of research. The facilities arrange hunts that cost in the region of $22 000 for a male and female combination. Wildlife researcher, Karl Amman, describeshow trophy taxidermists then sell the lion skeletons (without the skull) on to buyers. These are usually in Asian countries. A skeleton can fetch $1500. The importer then sells the bones on for between $700 and $800 per kg. A 100kg lion yields about 18kgs of bone, worth roughly $15 000 at this point in the supply chain. The bones are then imported into Vietnam, boiled down in large pots to yield 100g bars of cake which are sold for roughly $1000. This rise in the trade of lion bones shouldn’t come as a surprise. In 2016 the US banned the import of captive-origin lion trophies from South Africa. Breeding facilities began looking for alternative markets. Selling lion carcasses was an obvious option given that a lioness skeleton fetches roughly R30,000, and a male skeleton about R50 000, when sold to a trader. … a lioness skeleton fetches roughly R30,000, and a male skeleton about R50 000, when sold to a trader. Author Ross Harvey is a Senior Researcher in Natural Resource Governance (Africa), South African Institute of International Affairs.